After AI'ing the cows... twice... we still didn't get our Dexter, Pearl, bred. Frustrating, but not surprising. We should have bred her almost a year ago, but we wanted to wait a couple months so she wouldn't have a calf in the middle of winter, then we waited so we could AI her and Molly at the same time, then it was a money issue, and before we knew it her steer was gone and she still wasn't bred back. The longer a cow goes without being bred back, the harder it can be because of hormones, or lack of. 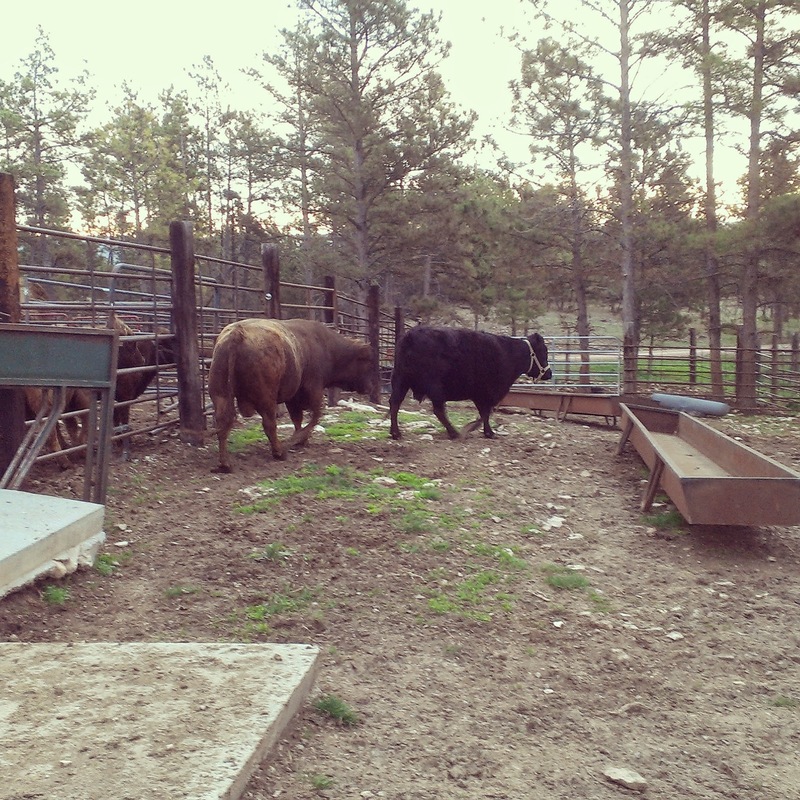 The vet suggested that being with a bull for a couple months would probably work the best. I got in touch with the breeders that we bought her from, since they are less than 20 miles away and have some beautiful registered Dexters. He invited us and Pearl out to their place. 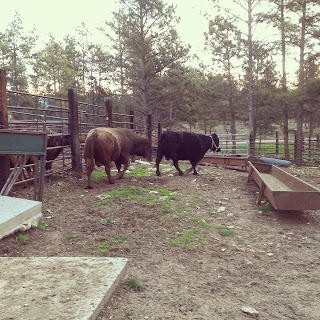 The bull we chose was named Mooney. He was huge (for a Dexter), great build, super sweet, and VERY interested in Pearl. She was about to come into standing heat and he could sense it. Pearl took it all in stride and after a couple trips around her home for the next month, she joined the rest of the girls sharing her pen. Poor Mooney seemed quite frustrated that she wasn't sharing his "enthusiasm". I plan to visit her next week and see how she's getting along. She, of course, could care less about me. I just scoop out the hay, give a bit of grain, and pester her with trying to brush her.